INCREASE SECURITY OF YOUR HOME! The Smart Body Motion Sensor LED provides enough illumination for your path in the dark. It features both a light sensor and IR motion sensor to activate automatically. With 3M double sided adhesive pads and magnet at the back, it's easy to install and can be placed anywhere as needed. 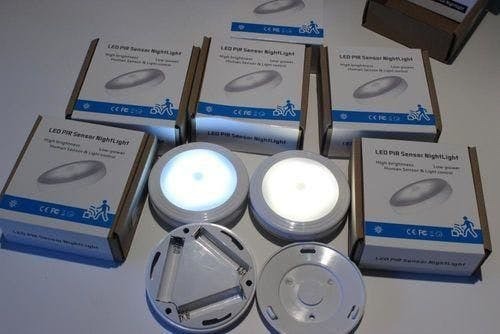 The LED night light is essential to every home and effectively lights up stairways, hallways, bathrooms, and bedrooms etc. It will automatically light up in the dark when it detects motion from up to 3 meters away. Turn off automatically after 30-seconds of no motion, conserving battery life. 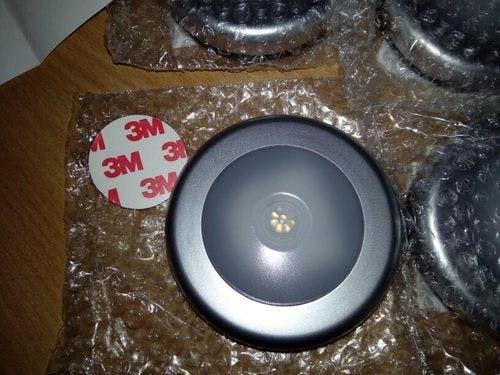 You can directly place it on a desk or stick it on the metal surface, or attach it to the surface of non-metal places with the 3M dual-side glue. 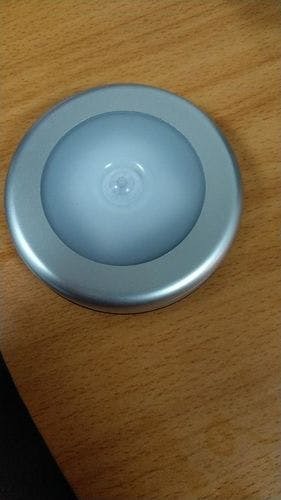 Came quickly, size small, the average brightness, motion sensor works. Lights perfectly perform their function! Lights perfectly perform their function! all as in the description. 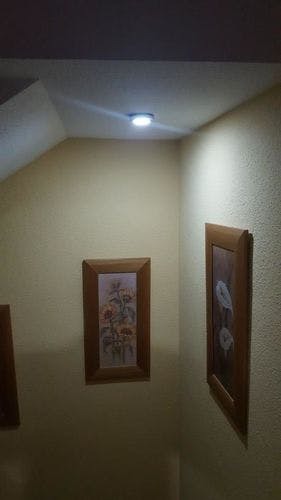 A great light! I order the second time. 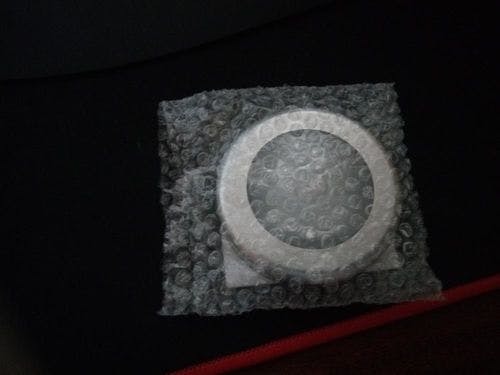 Thank you all received, excellent packaging. Thank you all received, excellent packaging. Works fine, I recommend 100%.